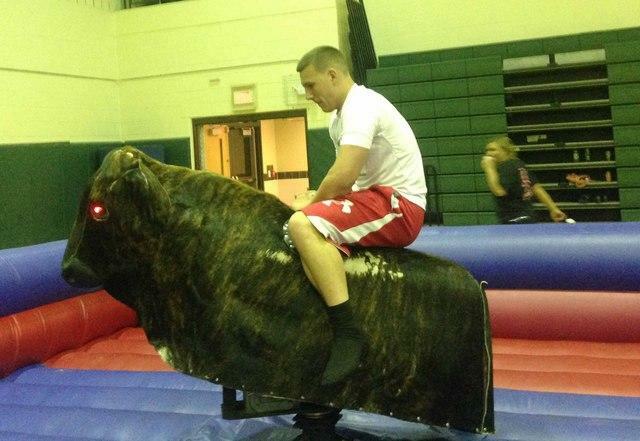 Saddle up and challenge your friend to a bull ride off. This is the ultimate mechanical bull ride since there will be two bulls going at the same time and speed via one controller. Now you can have a bull riding challenge based only on the riders skills not operator favorite. One rider per bull please.